I had it all planned out. A day off Friday, an easy ride Saturday, another rest day Sunday while I traveled back to Boston, and then back on the bike for real on Monday. Funny how things never turn out like you plan ‘em. Saturday was bordering on cold but sunny enough and Mike suggested a quick 25 miler to Cloisters. I’ve never been so I happily agreed...that is, until my uterus was like oh, hello, it’s that time of month! Which wouldn’t have been much of an issue if it hadn’t driven home that point by making my lower back so stiff it felt uncomfortable to even sit. Yes, I am fully aware that I will probably end up being the bitchiest pregnant person alive if or when that happens. Anyway, so I spent the morning arguing with my lower back and my reproductive organs while Mike did the ride. After a handful or so of chocolate chips, I was feeling a little better [funny how chocolate has that effect, huh? ], so we meandered through the city on a lazy afternoon mission. 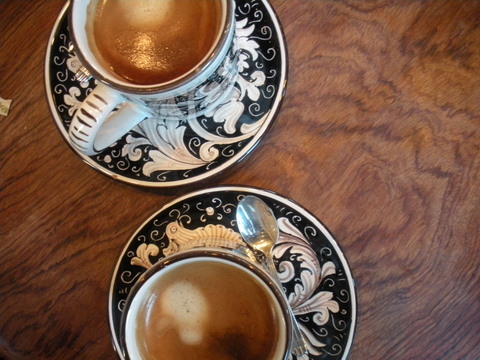 But of course, first there had to be coffee. 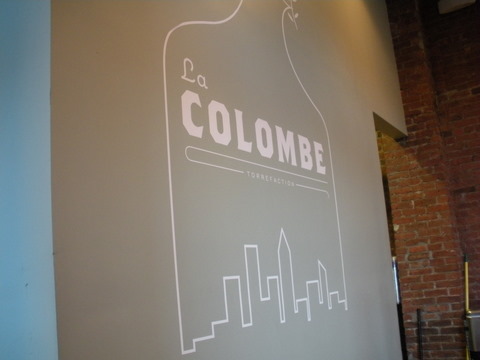 We stopped by the first NYC location of Cafe La Colombe. A simple yet open space with clean decor and bike-friendly baristas, Mike got his Ira Ryan hat photographed while we waited for our Americanos. The atmosphere is hip and cool without being overly pretentious, and while the espresso lacked the punch of Cafe Fixe’s Americanos, it was the perfect accompaniment to a lazier, more laid back afternoon jaunt. A few blocks further into Tribeca and we were at our destination: Adeline Adeline. A few weeks ago, I had heard a rumor or two about this shop; a specialty bike store that caters to the urban leisure cyclist. On the floor were bikes by Pashley, Abici, Linus, and a Batavus with Sram on it. 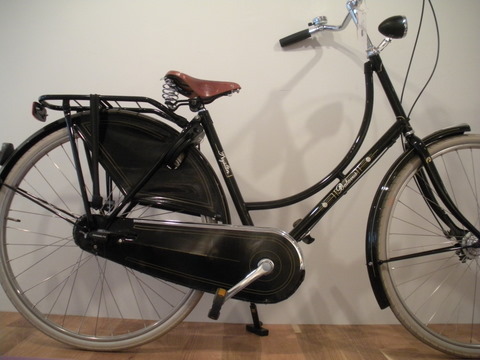 Wicker baskets of varying sizes, pannier bags catered with the more stylish cyclist in mind, and the obligatory Brooks saddles were smartly displayed in a bike shop that managed to set itself apart. 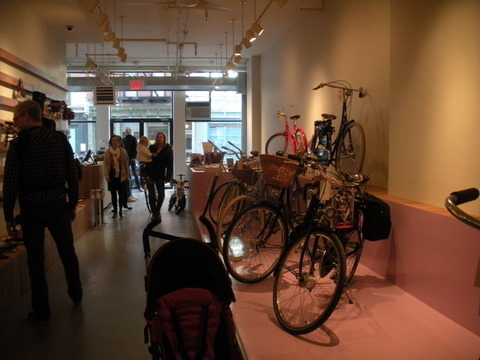 It’s a cool space, and one that I would patronize for a smart, sturdy city bike with all the bells and whistles. 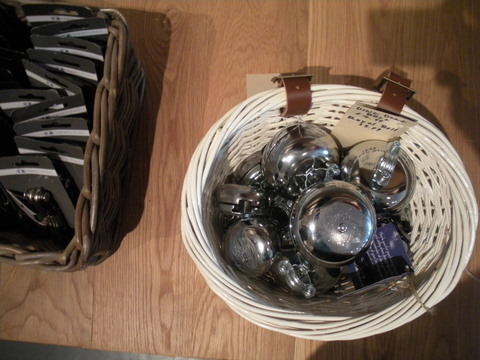 The accessories alone are worth a visit, especially if you have a thing for baskets and pretty bells. Only time will tell if I’ll ever be able to afford a city bike in New York City, but when I’m ready to get one, it’s good to know where I’d go.